Have you ever considered how change comes about? Before a change is made, there is planning and before planning, comes an udnerstanding of what needs to be put into the action to make a situation better. Advocating is the processs of research, promotion, lobbying and direct action to make a change that will better the community as a whole. Being an advocate means standing up for what you believe in, as well as what is best for your community, and lobbying for that belief to become reality. Together, the VPEA, Advocacy Coordinator and Research & Policy Coordinator work to engage, inform and lobby for students on issues that affect post-secondary education, and the life of the modern student. 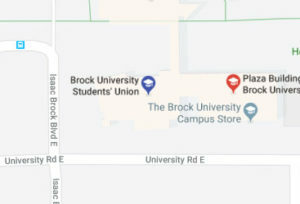 The VPEA is the representative to provincial and federal lobby groups on behalf of the Brock University student body. The Advocacy coordinator has more of a face presence in the hallways as they put on many campaigns to either inform students on upcoming issues/changes, or, collect feedback on students’ opinions of these issues. The research and policy coordinators assist in the creation of policy options to the Municipal. Ontario and federal governments on behalf of OUSA and CASA. The research and policy coordinators are responsible for conducting all research as directed by the VPEA as well as researching information necessary to the campaigns conducted by the advocacy coordinator. Working with OUSA allows each campus and its students the opportunity to be heard and represented to decision makers in the post-secondary education system. The Canadian Alliance of Student Associations (CASA) is similar to OUSA in that it is an association of student unions created to promote student interests to the government; however, CASA is a lobby and research organization working at the federal level. BUSU became a full member of CASA in 2001, and the organization has now grown to represent over 300,000 students. CASA represents 26 full-member student unions from coast to coast, and 1 associate member. CASA prides itself on thorough and comprehensive research on educational issues so as to influence national educational policy. CASA also routinely develops government and committee submissions on post-secondary issues. The Vice President of External Affairs for BUSU is the representative to CASA. Unlike OUSA, CASA is too big for each member representative to sit on a Steering Committee, so the organization has a Board of Directors, which is elected every June/July. For the last two years and counting, the VPEA of BUSU has been elected to the Board, which attests to the hard work for which we are known. CASA meets 3 times a year to discuss policy and research/lobby priorities with all member schools. The location of these conferences varies as they rotate around the country on a regular basis. Are you interested in learning more about what we do? Have a comment on our hallway campaigns? Send us a message & let us know what’s on your mind!